Any person or legal entity, of any nationality, domicile or activity may acquire and enjoy the rights granted by the Industrial Property Law, which covers trademark rights. The Trademark Law states, first, that a mark can be any sign capable of distinguishing the goods or services produced, marketed or provided by any person or legal entity and, second, requires, in order for the sign to be registrable, for such sign to be ‘distinctive’ with regard to the products or services it will cover. The nature of the product or service to which the mark will be applied will not be an obstacle in any case for the registration of the mark. Marks may be for products or for services and may consist of words or groups of words, letters, figures, designs, monograms, shapes, pictures, labels, badges, patterns, engravings, vignettes, borders, lines and stripes and colour combinations and arrangements, as well as any combination of these signs. The shape, presentation, packaging or arrangement of the products and of points of sale of the products or services are also protectable. Non-traditional trademarks such as sound and scent marks are also registrable. The Trademark Law does not limit what can be a trademark, since it has left a general clause that indicates that in addition to that listed in the Trademark Law, trademarks may include ‘others that in the opinion of the Registry have or may have acquired a distinctive character’. Marks may consist of national or foreign geographical indications, provided such are distinctive regarding products or services to which they are applied, and that their use is not prone to cause confusion or association with regard to the origin, qualities or characteristics of the products or services for which the marks are used. When the mark consists of a label or another sign that is composed of a group of elements and the name of a product or service is contained on such, the registration will only be granted for such product or service. Special protection is provided to well-known trademarks; however, knowledge of the trademark must be proven. 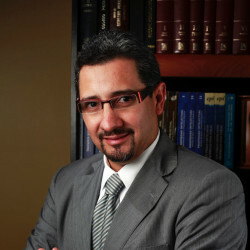 Exclusive trademark rights are granted upon registration; an exception to this rule are well-known trademarks, which are entitled to protection even if not registered in Guatemala; however, such level of knowledge of a trademark is subject to evidence and will be dependent on a Trademark Office or judicial decision. Guatemala is a party to the General Inter-American Convention for Trademark and Commercial Protection, an instrument that provides for protection for signs registered or in use in other member states, even if such have not yet been registered in Guatemala. This prior use in another member state may support, depending on the facts and circumstance, registration in Guatemala with preference over other petitioners or may allow the filing of an opposition or to seek cancellation of a registration. Since under the law there is no obligation to register in order to use a trademark, there may be cases in which use of a non-registered trademark is confronted with unfair use by a third party. In such cases, one may invoke the law referring to unfair competition. All acts contrary to honest business uses and practices performed in all industrial and commercial activities shall be considered unfair. The Trademark Law also includes, within the prohibitions for the registration of trademarks based on third parties’ rights, the situation in which registration of a trademark may result in consolidating or perpetuating an unfair competition act. From filing of the application through grant of the trademark registration, the process may typically take seven to eight months. This estimated time will be increased if the trademark office issues an office action (ie, objection to registration) or if an opposition is filed against the application. Such actions will also increase the costs of the trademark process. In addition to the applicant’s information, the clear identification of the trademark and printed copies of the same (in the case of non-traditional trademarks such as sounds and scents, a description of such that is sufficiently clear, intelligible and objective), the list of products or services that will be covered and an indication of the class number for which it is intended, filing should be accompanied by the correspondent power of attorney (POA). If said document is granted in a country other than Guatemala, it must be validated through the process provided in the Apostille Convention, which entered into force in Guatemala on 18 September 2017, and as a consequence both the power of attorney and the Apostille, if written in a language other than Spanish, must be translated in Guatemala by a certified translator to comply with the requirements. If for any reason the POA has not been sent at the time of the application, a Guatemalan attorney is empowered by law to act as an ex officio representative and therefore empowered to submit the filing and obtain a filing date and time. The trademark procedure will be suspended until the attorney submits an authenticated copy of the POA, for which the trademark office will grant a two-month period for the presentation of a bond; if a bond is submitted, the authenticated POA shall be presented prior to grant. We can provide details of registration costs and fees upon written request. For the purposes of the classification of products and services for which the registration of a trademark is requested, the International Classification of Goods and Services for the Purposes of the Registration of Marks (Nice Classification) applies by express reference of the current trademark law, even though Guatemala is not a party to the Nice Agreement. If there is doubt regarding the class in which a product or service shall be placed, such will be resolved by the Registry, which may carry out technical consultations. For all cases, the publications of the World Intellectual Property Organization related to trademark classification shall be considered as a guide for the correct classification of the products and services. Guatemala is a party to the Trademark Law Treaty (TLT), which implies the admission of multi-class filings; the implementation of several of the TLT’s provisions will be subject to an amendment to the Industrial Property Law, which is still at draft stage. Once the application is received, the Trademark Office proceeds, first, to review if the formalities and required documentation have been met. If the application fails to comply with such formalities or documentation, the office will suspend the process and will request the applicant to remedy any failure within a one-month period under the warning that otherwise the application will be considered abandoned. After the form examination, the office will proceed to examine the trademark in order to determine that it does not fall into the inadmissibility cases or registration prohibitions and that it does not affect third parties’ rights (ie, potential conflicts with other trademark applications or registrations). If the office concludes that there are grounds to reject the application based on such examination, it will serve notice to the applicant, granting a two-month period to respond. If the applicant does not respond, the application will be declared abandoned; if the applicant responds and the office criterion is that the reasons to object prevail, it will reject the application; otherwise, the office will allow the process to continue, issuing the edict for publication. The Trademark Office does not accept letters of consent, but coexistence agreements are accepted, because it is important that the parties establish provisions in order to ensure that the rights and interests of consumers are not affected. Once publication takes place in the BORPI (the Trademark Office’s electronic bulletin), there is a two-month period for any interested party to file for opposition. If there is an opposition, the office will serve notice to the trademark applicant, providing the applicant with a two-month period to respond to the opposition. If there is a need for the office to receive offered evidence a two-month evidence phase will be enabled. The opposition shall be decided by the office (the law does not establish a term for the office to issue its decision). Oppositions are currently taking a minimum of eight months to be decided. If no opposition was filed against the application (or the opposition was rejected and no administrative remedy was filed against such decision), the applicant must pay the registration official fee, and once this has been performed the office will issue the registration certificate. No current law in force obliges a product or service to be identified with a trademark for purposes of its commercialisation; registration of a trademark is an option for the person using it. Claiming or proving trademark prior use is not legally required in order to request or obtain registration. Once the trademark is registered, proof of use does not need to be submitted (not even for renewal purposes). However, the Trademark Law provides for non-use cancellation action, by any person with interest, which may be activated when five years from grant of the trademark have passed without it having been used or five years from last use of the trademark. The cancellation of a registration for non-use may also be requested as defence against an objection of the Registry or against a third-party opposition to the registration of a trademark; against a request for statement of invalidation of a registration or against an action alleging infringement of a registered trademark. Cancellation will be settled by the competent judicial authority. When non-use affects only one or some of the products or services for which the trademark was registered, the cancellation of the registration will be settled by a reduction or limitation of the respective list of products or services, eliminating those for which the trademark has not been used. A registered trademark must be used in the market exactly as it appears in its registration; however, the use of a trademark in a way that differs from the way in which it is registered, but only with regard to details or elements that are not essential and that do not change the identity of the trademark, will not constitute grounds for the cancellation of the registration, and will not reduce the protection that such confers. The use of a trademark by a licensee or another person authorised for such will be considered as if it were being carried out by the holder of the registration, for the effects relating to the use of the trademark. Non-use cancellation action will not apply when such non-use is due to justifiable reasons. The burden of proof regarding use of the trademark will fall upon the trademark owner. The applicant for the registration of a mark may claim priority based on a prior registration application, filed in order in a state that is a party to a treaty or agreement linked to Guatemala (ie, the Paris Convention). Such priority must be claimed in writing in the application, or later, until a three-month term following the expiration of priority, indicating the date and the country in which the first application was filed; proof must be submitted with the claim or within three months following the expiration of priority. Multiple or partial priorities may be claimed in the same application, which may have originated in applications filed in two or more different states; in such case the priority term will begin at the earliest priority date. The priority right shall be in force for six months as of the following day of the filing of the priority application. If a trademark application is denied by the Trademark Office (rejection upon examination; rejection upon opposition), the petitioner may file, no later than on the fifth business day after having been served notice, an administrative recourse before the Minister of the Economy. Because of the large number of cases referred to the Minister of Economy, these recourses are being decided in approximately a one-year period. If the decision of the Minister of the Economy confirms rejection, the petitioner may file a contentious judicial action before the Contentious Administrative Court within three months after having been served notice of the ministerial decision. For the same reason, these judicial processes are being decided in approximately two years. The affected party may submit an extraordinary recourse (cassation appeal) against the court’s decision before the Supreme Court of Justice. Having successfully passed the examination process, a publication edict will be issued. The edict must be published once in the BORPI. Any interested party may file opposition against a trademark application within a two-month period counted from the date of the publication, based on relative grounds (ie, third-party rights) or absolute grounds (prohibitions for registration, non-distinctive). As previously indicated, Guatemala is a party to the General Inter-American Convention for Trademark and Commercial Protection; this convention provides for the protection of signs registered or in use in other member states, even if such are not registered in Guatemala. The convention provides for additional grounds for formulating oppositions. A brand owner may oppose a bad-faith application in Guatemala, even if such owner has not registered the trademark before, on the grounds of article 6-septies of the Paris Convention, which refers to ‘use’ and ‘filings’ by a former agent or distributor. Finally, another ground to file an opposition to an application, even if the trademark has not been registered in Guatemala, will be the provision that states that if the pretended trademark may result in an unfair competition act against a third party, such trademark shall not be registered. Trademark registration is granted for a 10-year period counted from the date of grant; registration may be renewed indefinitely for equal and consecutive 10-year periods. Use of the trademark is not required for its maintenance or for renewal purposes. Renewal may be filed within one year prior to the expiration of the 10-year term, subject to the payment of the renewal fee. However, if the term elapsed without having filed for renewal, the law provides for a six-month grace period, during which one can file for a late renewal, paying an increased official fee. Registration provides for exclusive rights on the trademark. Registration entitles the rights holder to invoke both civil and criminal actions and remedies against unauthorised use of registered trademarks and allows for stronger grounds to oppose filing of similar or identical trademarks for the same or similar products or services. In addition, the Trademark Office may, via an office action, object to trademark filings that may affect the rights of the registered trademark. The law does not call for the compulsory recordal of a licence for any particular effects. Recordal of a licence is an optional and a voluntary act of the parties. The licensor or licensee may submit a recordal petition, either by accompanying a copy of the agreement or a brief to such agreement; the law lists the basic information that the petitioner needs to provide for recordal purposes. Recordal of a licence publicises the existence of the same; regarding ‘use of a registered trademark’, a certificate of the recordal will add to the evidence of use if the trademark has actually been in the market due to the licence. Unless otherwise agreed in the licence agreement, ‘exclusive licensees’ are entitled to exercise legal actions for the protection of the licensed trademark; recordal of an exclusive licence will facilitate the licensee with a document to evidence, before the competent authority, that he or she is entitled to act against infringements to the trademark (instead of having to prepare other documents for such purposes or having to submit a copy of the licence agreement, which may have confidential content). Trademarks can be assigned independently of the company to which they belong; these do not need to be assigned along with other assets. Assignment can be total or partial regarding the covered products; if partial, a petition for the division of the registration shall take place (prior to the assignment or concurrent to the assignment). If change of ownership may result in a risk of confusion, such assignment and recordal may be challenged in order to be declared void. If a company is sold, such operation under the law implies the transfer of the right on all of its trademarks and trade name, unless otherwise agreed. Trade names can only be assigned along with the business or company these identify, for which compliance with administrative proceedings before the Commercial Register is needed. Assignment of trademarks must be documented in writing before a notary public in Guatemala or via a private document with authentication of signatures. If the document was celebrated in a foreign country, in order to record the assignment one will need to comply with the process provided in the Apostille Convention, which entered into force in Guatemala on 18 September 2017. If the document is in a language other than Spanish, translation shall take place in Guatemala through a certified translator. In order to file for the recordal of the assignment, the owner, if not resident in Guatemala, shall grant a POA to a Guatemalan attorney. Assignment must be recorded for validity purposes. Trademarks can be used as security interests; in order to proceed, the agreement must be documented in writing via a notary public instrument or with authentication of signatures by a notary public. In order to have effect before third parties, recordal is necessary. The law does not refer to any markings or symbols to be used to indicate use of a trademark or a registration. Thus, there is no mandatory marking and no regulation regarding the use of markings or symbols. Adding a symbol or word such as ® will not have legal weight in Guatemala. However, if there is risk of the trademark becoming a generic term, one should use markings so as be clear that the term is a trademark; this will mitigate a potential cancellation action on the grounds of the term becoming generic and will be proof to demonstrate that the owner has taken steps to prevent the term from become generic. There are civil and criminal proceedings available against trademark infringement. Administrative procedures are not available for that purpose. The criminal proceedings are of public action, meaning that the IP Prosecutor shall act if he or she learns of a trademark infringement (the least of the cases), and he or she will act when the rights holder denounces criminal offences against its trademark rights. Civil proceedings are available for trademark dilution and for trademark infringements. Border enforcement mechanisms are available through the courts. Border officers are not empowered to act ex officio before a suspicious import or export for which they may have reasonable grounds to believe that it infringes trademark rights; rather, the rights holder or a customs or border officer, when presented with reasonable evidence that an import may infringe trademark rights, may request a judge for customs measures. There are no specialised tribunals or courts to deal with trademark infringement cases. Regarding criminal offences, there is a specialised intellectual property prosecutor office. Criminal procedures are filed before the Permanent Attention Bureau of the Prosecutor’s Office; the file is further transferred to the IP Prosecutor’s Office (IPO). The rights holder shall bring before the IP Prosecutor, evidence of its right and evidence of the alleged infringement. The IPO will verify the information and conduct its own investigation, and if it finds there are reasonable grounds, it may request the judge to initiate the case and request raid and seizure orders. If no person is arrested, a six-month period will be granted to complete investigation; at the end of the six-month period, the judge will decide if the case is closed or it is suspended until new evidence is presented. If individuals are arrested as a result of the raids or other executed measures, a three-month period devoted to conclude the investigation is granted; at the end of such a period the conclusions of the investigation are to be presented as well as the accusation against the defendants. After accusation, the judge will set the date and time for oral debate and will issue sentence immediately after the oral debate. Against the judge’s sentence, the ‘special appeal’ may be filed. Criminal trials, depending on their complexity, may last from eight months up to three years (or even longer). IP civil proceedings are to be addressed through the ‘oral civil process’. The rights holder should file suit, including identification of all evidence to be offered for the case. Along with the suit, injunctions can be requested. The judge will evaluate the facts and the rights at sight and may grant the injunctions prior to the first hearing. The proceeding is developed through oral hearings (up to three; however, if there is a countersuit by the defendant in first hearing, there could be more hearings). The judge shall issue sentence after the final hearing. Depending of the recourses and other legal defences (ie, amparo action) used by the parties, the proceeding may last one to three years, including appeal proceedings. Both civil and criminal proceedings may be interrupted by the promotion of the amparo action (action used to obtain protection against alleged violations to constitutional rights, such as due process), which will result in substantial delay to the completion of the proceedings. Regarding trademark infringement cases, the burden of proof resides on the plaintiff. The only case in which there is a reversal of the burden of proof is in the civil oral proceeding for trademark cancellation on the grounds of failure to use. Trademark owners or exclusive licensees (unless the licensee has been expressly denied such power in the licence agreement) may seek for remedy before trademark infringement (civil or criminal). The trademark owner shall bring before the competent authority evidence of its right and evidence of the infringement. Documents or activities that take place outside the country of registration may support arguments related to trademark infringement or dilution. For example, affidavits, administrative acts and court decisions issued in another country where a case has been or is being discussed may be invoked in support of an alleged infringement, for which one must obtain certified copies of the documents in the given country and comply with the correspondent consular authentication (and translation into Spanish if the documents are in foreign language) in order to submit it in court. Discovery of documents is allowed in civil proceedings. A party in the proceeding who needs to support its arguments in a document that is under control of the adversary or a third party (including documents outside of the country) may request it to the judge, submitting a copy of such document or at least, data showing that the petitioner knows about its content; the party requesting discovery of documents shall prove that such document is in the domain or has been in the domain of the adversary or third party. If the document is outside the geographical territory of competence of the judge or court or outside the country, the proceedings for requesting it should comply with the correspondent formalities through a petition that the judge or court shall address. If the documents are located outside the country, the judge shall direct the petition via the Supreme Court. These proceedings take time to be executed. In civil proceedings, preliminary injunctions are typically decided within one month counted from the date on which the lawsuit is received (lawsuits are not filed directly before the tribunal, but are filed at the administrative distribution centre (electronic distribution); a lawsuit is normally delivered to the assigned tribunal three days after having been submitted). Once the trial is in progress, one can request injunctions at any time before the case is decided. Injunctions cannot be requested in appeal proceedings. 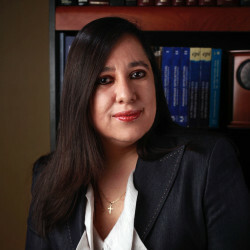 In criminal proceedings, preliminary injunctions are requested in the preparatory phase; during the trial phase, one may request additional injunctions. Injunctions cannot be requested when appealing or during the appeal process. Litigation costs will vary depending on the case, its complexity, evidence needs and other criteria; quotes are provided upon revision of the case facts and rights related to the facts. Final decisions in a civil or criminal proceeding are subject to appeal. Administrative decisions from the Trademark Office proceedings can be reviewed via a ‘contentious administrative’ judicial process; a decision that is further subject to a cassation process before the Supreme Court. Both civil and criminal proceedings guarantee due process and the right to defence. Therefore, a defendant will have the opportunity to be heard and to submit evidence before a claim. In civil oral proceedings, the defendant may, at the first hearing, countersuit, and the proceedings will be developed in parallel. Regarding criminal proceedings, the alleged infringer will have the chance to present evidence to vanish the claimed offence before the IP Prosecutor; however, as in civil cases, the judge may order preliminary injunctions previous to serving notice of the claim to the defendant. A defendant, declared innocent, may act against the plaintiff to claim damages. A successful party in an action for infringement or dilution will be entitled to claim damages and loss (monetary relief). The law provides for alternatives to establish damages, including statutory damages. The judge may also decide to grant injunctive relief, ordering the adoption of actions or prohibiting actions in order to avoid recurrence of the infringement and ordering the defendant disclose all the information related to other individuals or entities involved in the commission of acts that lead to the infringement, means to carry out the infringement, distribution systems and others. Regarding infringing merchandise, the judge will order destruction of the counterfeit merchandise; however, the judge may also order donation to a charity entity, removing labels and signs. In criminal cases, remedies available to a successful party also include monetary relief and injunctive relief. The Arbitration Law excludes from arbitration those matters that, in a given law, have an established proceeding. Therefore, a trademark infringement cannot be subject to arbitration. Nevertheless, IP contractual matters may be subject to arbitration. Benefits of arbitration reside in more expedited procedures and specialised arbitrators. Famous or well-known trademarks are afforded protection under Guatemalan law; however, knowledge of the trademark in the country (whether used or not in the country) must be proven. The by-law to the Industrial Property Law provides for guiding criteria to establish the fame or knowledge of a trademark in the market, which coincides substantially with those contained in the WIPO Joint Recommendation Concerning Provisions on the Protection of Well-Known Marks (September 1999). Proof of knowledge of the trademark by the relevant segment of the public must be provided; other acceptable proof includes that related to the geographical area where marketing of the trademark takes place and its intensity; the time that the trademark has been in use; its geographical reach; production volume; etc. Local surveys, developed with an objective methodology, will certainly constitute valuable evidence regarding the knowledge of the trademark in the market and among the relevant members of the public. Protection of well-known trademarks allows the rights holder to oppose registration of an identical or similar trademark for the same or similar products or services; protection also allows the rights holder to challenge the use of an identical or similar trademark covering the same or similar products or services. In any case, the fame of the mark must be proven or shall have been proven previously. The TLT has entered into force; however, the draft bill to implement the treaty is still under discussion. Once the bill becomes law (as an amendment to the current Industrial Property Law), Guatemala will simplify procedures and may allow multi-class filings. Recent landmark cases include the following. The Constitutional Court declared null an Appeal Court decision that cancelled two trademarks registered in 1979 and 1980. The Appeal Court argued that the trademarks were registered against an express prohibition contained in the law in force at that time, in that ‘indications of provenance’ could not be registered as trademarks; the court also argued that the trademark registrations were obtained in bad faith to take advantage of the fame of two European geographical indications. The plaintiffs were European entities administering the alleged geographical indications and an Italian company. The Constitutional Court declared the Appeal Court’s decision to be null, finding that the decision was the result of inadequate interpretation of the applicable norms (the Central American Convention for the Protection of Industrial Property Law in force at the time of the registration; the Industrial Property Law in force at the time of the lawsuit; and the TRIPS Agreement, also in effect at the date of the filing of the lawsuit), in particular because it ignored the reasoning of the grandfather clause contained in article 24, paragraph 5 of the TRIPS Agreement, and that the presumption of good faith by the trademark owner was never proven to the contrary. Furthermore, at the time of registration, there were no international covenants that linked Guatemala to acknowledge and protect foreign geographical indications. As a result of the Constitutional Court’s decisions, the Appeal Court issued a new judgment, rejecting the plaintiffs’ petition and confirming the validity of the trademarks. (Re: Constitutional Court - Amparo Appeal, File 5099-2013). The Constitutional Court issued a judgment by which it was affirmed that cancellation of a registered trademark shall operate when the trademark has not been used for a five-year term before the cancellation suit, rejecting the decision of an Ordinary Court, which interpreted the argument of the defendant to mean that the term for cancellation was interrupted and thus began to be counted again from the renewal of the trademark registration. The Constitutional court found the Ordinary Court’s decision to reflect a restrictive interpretation and to be contrary to the constitutional principles of legal certainty and due process, and confirmed that cancellation of the trademark on the grounds of non-use does not limit or violate acquired rights (Re: Constitutional Court - Amparo Appeal, File 3155-2009). The Contentious Administrative Court ruled that at the administrative level (Industrial Property Registry), for opposition purposes, evidence used to demonstrate and to decide on the knowledge of a trademark by the pertinent segment of the public may include geographical and temporal of use of a given trademark, distribution channels and points of sale, whether or not the allegedly well-known trademark is registered in the country (Re: Tribunal de lo Contencioso Administrativo, File 01190-2013-00085).